AICEX SUMMARY: I Clienti si iscrivono ad un programma loyalty per i vantaggi, ma se poi continuano a farne uso è per le Esperienze. AMERICANS are both more loyal and more fickle than ever before, judging by the number of customer rewards cards they have and the number they actually use. Households, on average, hold membership in 29 loyalty programs across the retail, financial services, travel and other industries — that’s a total of 3.3 billion nationwide, up 26 percent from 2013, according to a 2015 reportby Colloquy, a loyalty marketing research company. But most households use only 12 of those cards, a proportion that has dropped 4.5 percent from 2013. Loyalty programs do attract customers, according to a report to be issued on Tuesday by Bond Brand Loyalty in collaboration with Visa. About 80 percent of the roughly 19,000 consumers in the United States and Canada who responded to an online survey said they were more likely to continue doing business with brands that offered loyalty programs. But to be successful, the programs can no longer offer just a discount or a free dessert. “If somebody were to ask me if I should start a loyalty program, I would say they need to manage it right,” said Yuping Liu-Thompkins, a professor of marketing at the Strome College of Business at Old Dominion University. It’s not just about gaining new customers, she said, but crucially, about effectively using the important data you receive from those customers. It’s about persuading people not only to buy more, she said, but to change their behavior and habits — and to share that with friends and family. Brian Gregg, a partner at McKinsey and Company, the management consulting firm, offered an example. When people get a dog, he said, they go on a big shopping spree — buying the bed, the collars, the food and all the other dog necessities. But then there is a big drop-off in their purchases. If that person signs up for a loyalty program, Mr. Gregg said, the company should use that information not just to offer a discount on the next purchase for the dog, but to build a relationship so that the dog owner will come back month after month for dog food. 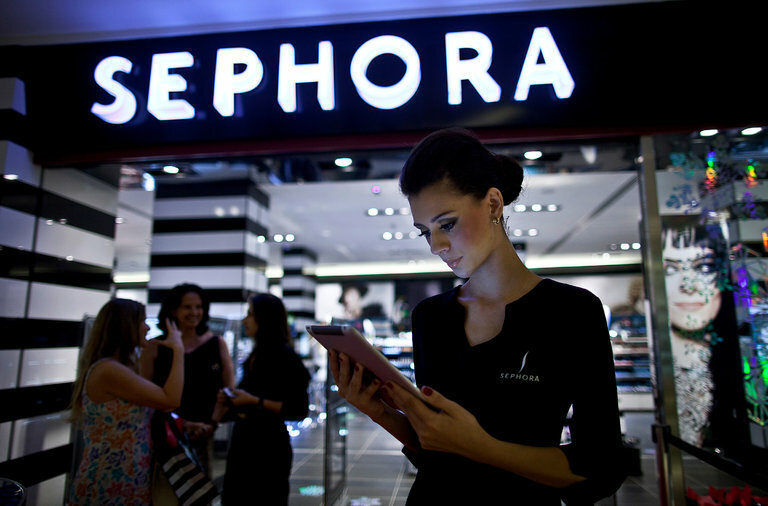 Sephora, the cosmetics retailer, is a great example of that dynamic, said Scott Robinson, vice president for design and strategy at Bond Brand Loyalty. Sephora’s rewards program offers free samples and tutorials to loyal customers. It has three tiers, and the top spenders are invited to free closed-door events like Beauty Before Brunch, where they receive makeup lessons, discounts and a goody bag. The samples don’t cost much, but are of great value to customers who want the newest makeup and hair products, he said, and store loyalists often share these discoveries on social media, which draws in more customers. And that’s a crucial part of the equation: making sure customers aren’t just loyal, but also loud. Brands rely on them to spread the word far and wide about great loyalty programs. For instance, he said, the movie theater industry is trying out programs that give loyal customers early access to movie trailers, a low-cost way to make film buffs feel special. In another effort at personalization, merchants can use beacon technologyto send a signal to your smartphone as you walk by a store, said Perry Kramer, vice president at Boston Retail Partners, a retail consulting firm. Even more personal (perhaps too personal?) a sales associate could identify when you’re in a store, greet you by name and note that you might be interested in some new shoes to go with the dress you bought the last time you shopped there. The reality, Mr. Kramer said, is that too many companies offer loyalty discounts that don’t result in loyalty. Mr. Gregg agreed. Offering a 15 percent discount at the checkout counter if a customer signs up for a program isn’t effective, he said, because the customer was already going to make a purchase anyway. And who hasn’t joined a loyalty program for the initial discount and then put the card in the back of a drawer, never to use it again? Increasingly, even companies with a longstanding base of loyal customers find that they have to tweak their programs. Nordstrom, facing slowing sales this year, recently expanded its rewards plan so that customers no longer have to use a Nordstrom credit card to earn points. Just by signing up for the store’s loyalty program, customers can earn a point for every dollar they spend. That is less than the two points per dollar that Nordstrom credit cardholders earn, but the new system allows customers to pay any way they choose. Nordstrom knows that its rewards members spend four times more than other customers, said Dan Evans, a spokesman for the company.